Faculty and staff from UNC’s Institute of Global Health & Infectious Diseases were well represented at the 2018 Red Ribbon Gala, hosted by the North Carolina Community AIDS Fund. click to enlarge Claire Farel, MD, MPH, received a 2018 Red Ribbon Award from the NCCAF. click to enlarge Allison Mathews, PhD, was honored for her work with the community during the 2018 Red Ribbon Awards. 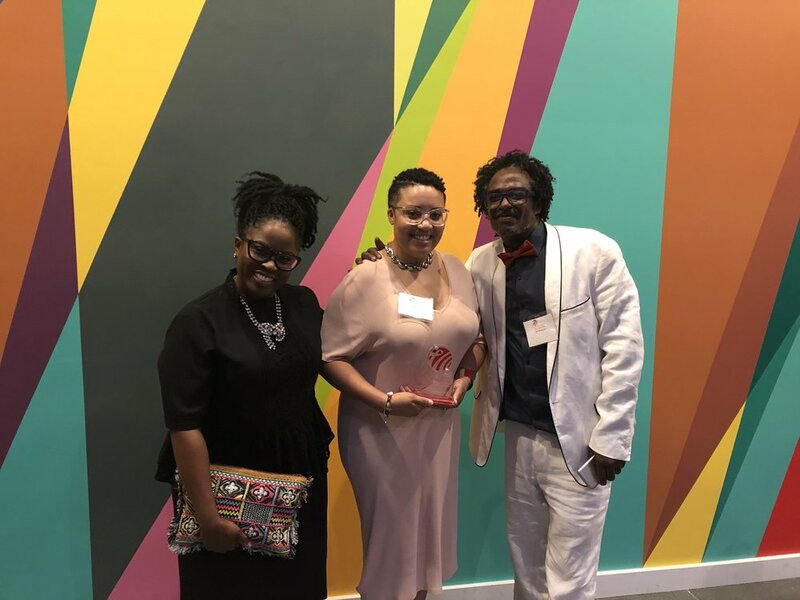 (June 18, 2018) Claire Farel, MD, MPH, and Allison Mathews, PhD, received Red Ribbon Community Service Awards from the North Carolina Community AIDS Fund. The mission of the North Carolina Community AIDS Fund (NCCAF) is to empower communities to lead the response to the HIV epidemic by increasing individual, community, and statewide capacity to bring an end to HIV in North Carolina. Each spring, NCCAF holds the Red Ribbon Gala to recognize individuals around the state who have excelled in the fight against AIDS. Farel, who is the medical director of the UNC Infectious Diseases Clinic, received the John Bartlett Innovation in Research Award. The award is bestowed upon a person committed to HIV medical, behavioral or social research. Read more about Farel’s role treating patients in the ID Clinic. Her research interests include HIV prevention and outcomes in vulnerable populations. Read the full list of 2018 awardees.